A colleague of mine who once in a while shares her gardens produce had given me again another fruit and this time it was figs. When I went back home, I was thinking it was quite a challenge as I don’t use this fruit a lot in my cooking but I remembered I tried baked cheese before where figs was involved so this is what I am going to do. Basically this recipe is really simple to make and good to serve on cocktail parties, melting cheese, nutty almonds and sweet figs isn’t that a good combination? Well up to you to find out. In a sauce pan add water, sugar, figs and vanilla. Cook in low heat for 10 minutes or until figs are soft. Add almonds then mix to distribute evenly. Pour mixture on top of brie cheese then bake in 165C preheated oven for 15 minutes. You don’t cut the rind off? Nope it helps in keeping whats inside when baking, once you use a cracker to cut it then the hot cheese inside will start to drip. Now I’m wondering: “Do *you* cut the rind off?” – it’s edible you know… and delicious. Yes I cut it off! I have never made baked brie, and I did think it would be problematic to cut the rind off, since it seems like melty cheese would be everywhere. I know the rind is edible, but I have to disagree that it is delicious! I often serve figs along side cheese so I know I would love your baked brie. 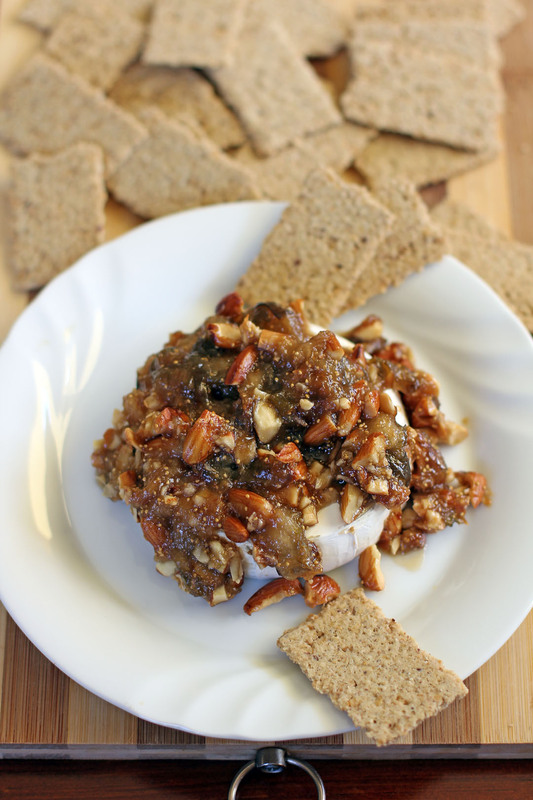 We love baked brie, this would be a wonderful topping with sweetness and texture. Good one! Brie and fruit is wonderful so I know this fig one would be fabulous. I love figs but usually don’t do anything with them but eat them straight up. However, Brie I always like with some fruit so next time is we figs, this is what I’m going to do. Thanks Raymund! I’ve never tasted brie before — and this is making me yearn for some. Now!! What a great way to make the most of figs. Ai,ai,ai…I can dig it in all day long…I am crazy over both figs and cheese. I LOVE figs and I’m always looking for recipes that I can make that might get my husband to like figs. This one might just do that. We both love brie and almonds and I love the addition of figs. What a great snack! I love baked brie! I also love figs, my parents have two trees and as a teenager I would pick dozens on summer days and eat them fresh. I miss that. 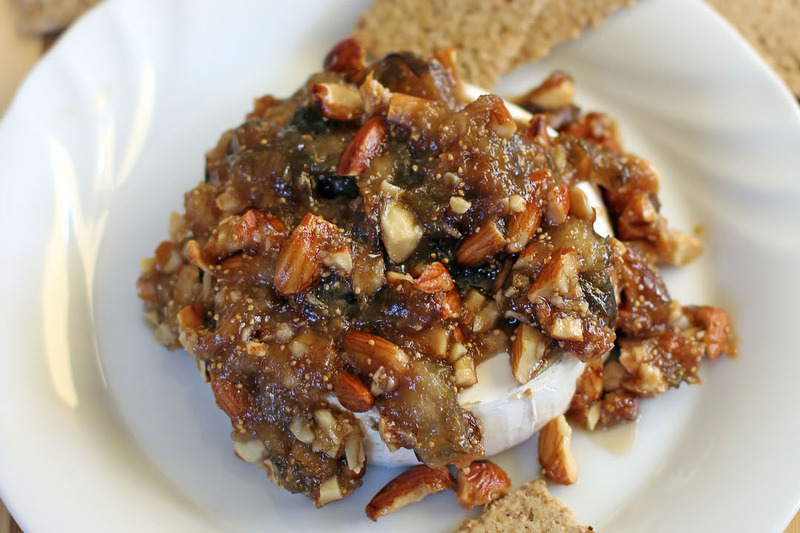 Now I want to run out and get a wheel of brie — I usually bake it with a drizzle of honey and some almonds. Aah, baked brie – that along with breaded, deep-fried brie (with cranberry sauce) are some of my guilty pleasures. We can’t get such small bries though. Traditional brie in France is huge, so we have to make do with camembert or coulommiers (which is like the little cousin of brie I heard). LOVE the topping here Raymund – bet it tastes awesome all together!